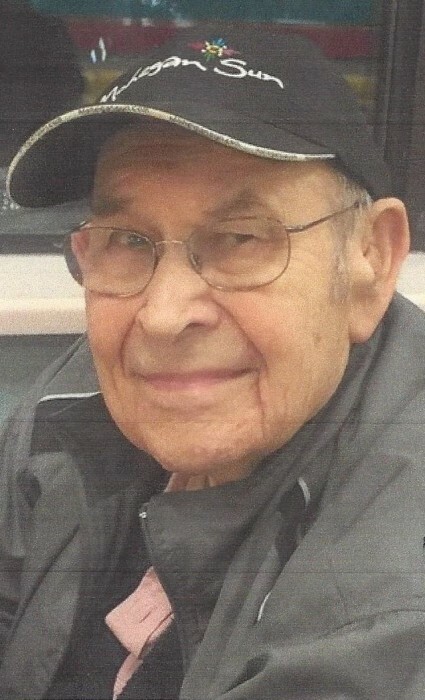 Edward J. Nowak of Huntington Massachusetts passed away peacefully from a brief illness in the arms of his family on March 16th 2019. He was the son of the late Antoni Nowak and Anna (Bajor) Nowak of Easthampton. Ed was a lifetime member of the Sacred Heart Parish and graduated from the Sacred Heart School. Following Graduation from Easthampton High School, Ed ventured off to work in the Hampton Mills just to find that he certainly wished to do better. He then went to work at the Springfield Armory prior to enlistment in the Army for World War II. 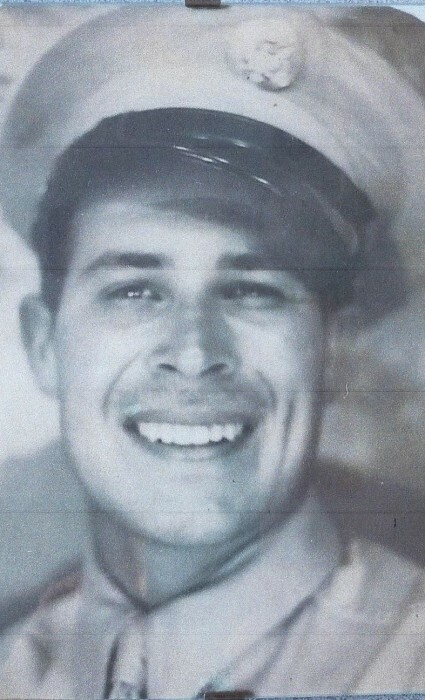 He passed the exam to be a fighter pilot however due to a Gov't mix up with his papers, he ironically was attached to the Battery D 483rd Antiaircraft Artillery Battalion. He trained with the Marine Corp for amphibious assault and the Army Rangers in Hawaii for Jungle Training. Aside form the Peleliu Island invasion, Ed was shipped for the entire invasion of IWO JIMA where he was set with his gun attachment protecting the front line Marines from airstrikes. Ed spoke freely about the war and could not stop describing the force of Naval Bombardment coupled with the Kamikaze attacks on the American Ships. Life was down to seconds, and he survived. The war ended and he returned home to find himself back at the Springfield Armory where he strived to better himself continuously. Taking college courses at night and graduating from the Springfield Armory renowned Tool Making Course, he made his way into Production Engineering. Following the Shutdown of the Armory, he went off to work at Pratt & Whitney Aircraft for the United States Airforce. He retired as Branch Chief of Contract Administration completing 40 years of Gov't employment. During his work years,In 1955, he married the love of his life Ladis. Together, working tirelessly and mom working nights, they raise two sons, Paul and Philip. His true passion in life was his family. Not only did he care for his own mother and Brother Ted, but he shared family vacations camping all over the Northeast and fishing with his wife & boys. At the age of 75 he decided to build a log home 2 miles deep through the wilderness on Norwich Lake in Huntington where he and his wife and later his son Paul who built next to them enjoyed 20 years of happiness in the woods on a lake. Ed always had a taste for adventure and marveled over how wonderful his wife and boys contributed to the success of the family. His life WAS his family and seeing his boys Graduate Colleges to successful careers of their own was the apex of his life's passion. Then it was time for his boys to share their lives with he and his wife. Family gatherings at Phil, his wife Kathy and his Grandson Mathew's home were wonderful occasions. Fishing on Lake Ontario, Quabbin Reservoir, and country rides in his son Paul's classic Mach 1 Mustang were to name a few, were precious times shared. Boating and boating and boating was also part of the equation.His wife Ladis, he always said, was the most Remarkable Women he could have ever shared his life with. They were a perfect team and enjoyed a perfect life. They were,......... the GREATEST GENERATION. Ed leaves his wife Ladislava (Klejna) Nowak of 63 years. His two sons; Paul and his wife Elena, Philip and wife Kathleen and Grandson Matthew. Also he leaves his Sister Caroline of Virginia and son Henry, Daughters Jane Stranberg, and Anne Oberg. Funeral Services for Edward are scheduled for Friday March 22, 2019 at 10am with a Liturgy of Christian Burial at Our Lady of the Valley Parish, 33 Adams Street, Easthampton, followed by burial with Military Honors at Saint Stanislaus Cemetery, Mayher Street, Easthampton. Calling hours will be held on Thursday, March 21, 2019 from 5-7pm at the Graham Funeral Home, 18 Adams Street, Easthampton, whom honorably and proudly has been entrusted with providing for Edward's care and services.